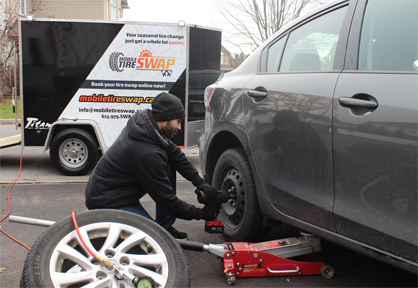 With Mobile Tire Swap, You get the convenience of choosing to have Your tire change done at Home, at Work or on the Go. We take pride in providing you with The Solution to a better, faster and easier way of getting your seasonal tire change done. We will mount your tires and verify your tire pressure in 30 minutes or less. 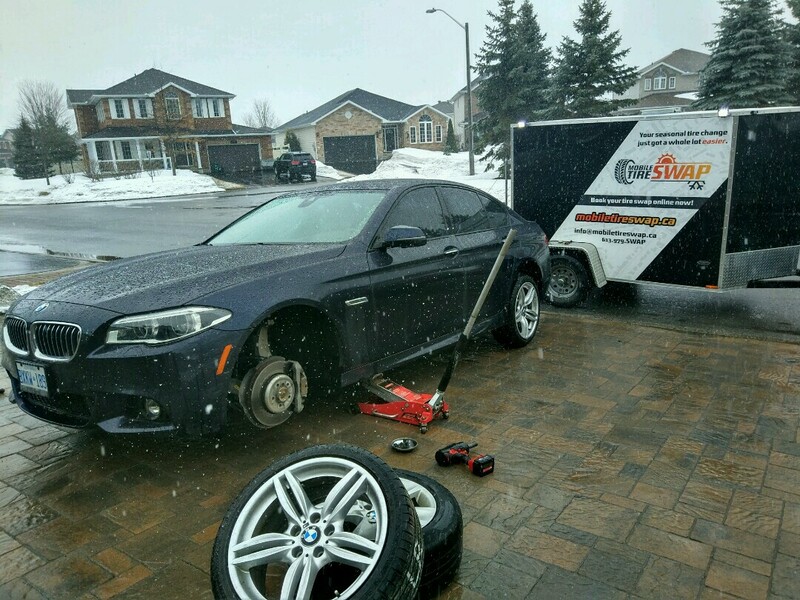 If you have your winter tires on their own set of rims, we will come to you and mount them onto your vehicle. Wherever you are, whenever you want, we get the job done. 7 days a week, Day or Night! * We recommend having your tires re-torqued after 80km. This will ensure the lug nuts are still tight after settling in. Almost all garages in town will re-torque for free with no appointment needed. 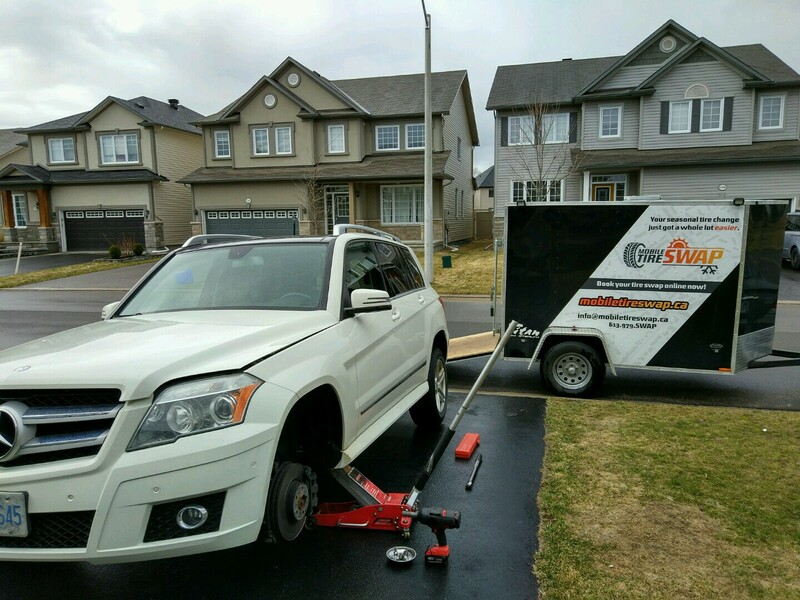 Mobile Tire Swap does not offer re-torquing services due to the nature of our business. 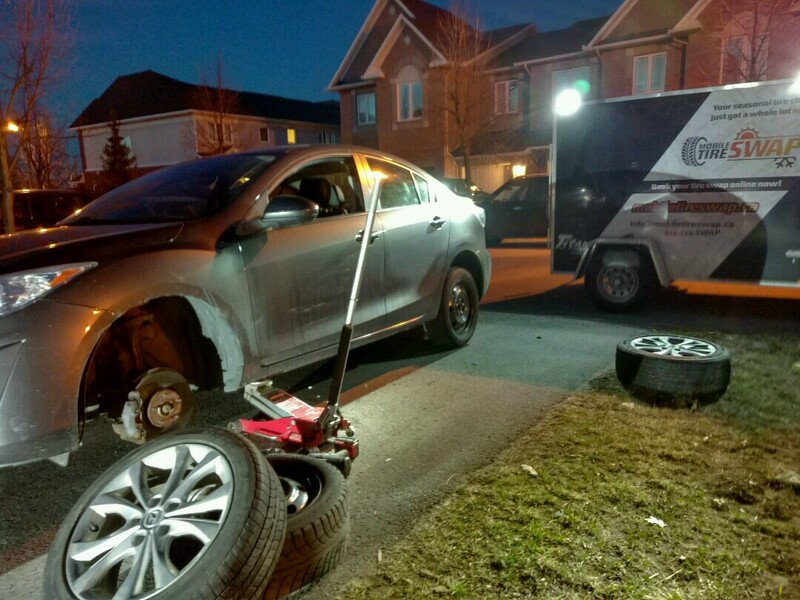 Mobile tire swap consists of a small team of passionate individuals who take pride in offering you the best of services. Every Tire Swap we perform is different and we ensure that specific guidelines and precautions are followed on every single tire change. 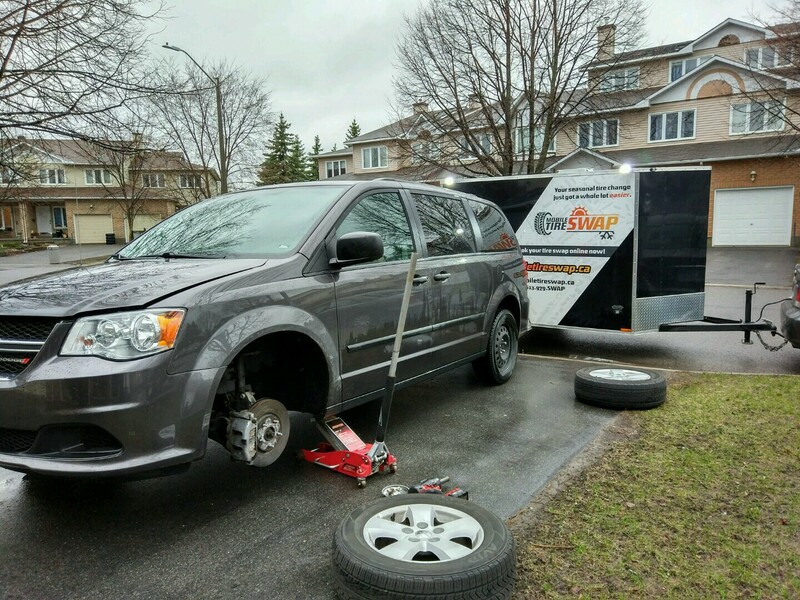 Mobile Tire Swap technicians are trained to ensure that you are ready to hit the road safely. Like us on Facebook and receive a complimentary windshield washer fluid refill for Free! - Mobile Tire Swap does not maintain, recommend or provide any vehicle products other than the ones listed in the package description. - Mobile Tire Swap is not responsible for pre-existing wheel or vehicle damage. This includes but is not limited to rusted, damaged, or stripped wheel nuts, improperly maintained emergency brake systems, weakened automobile frames, and other factors beyond the control of Mobile Tire Swap and its technicians. 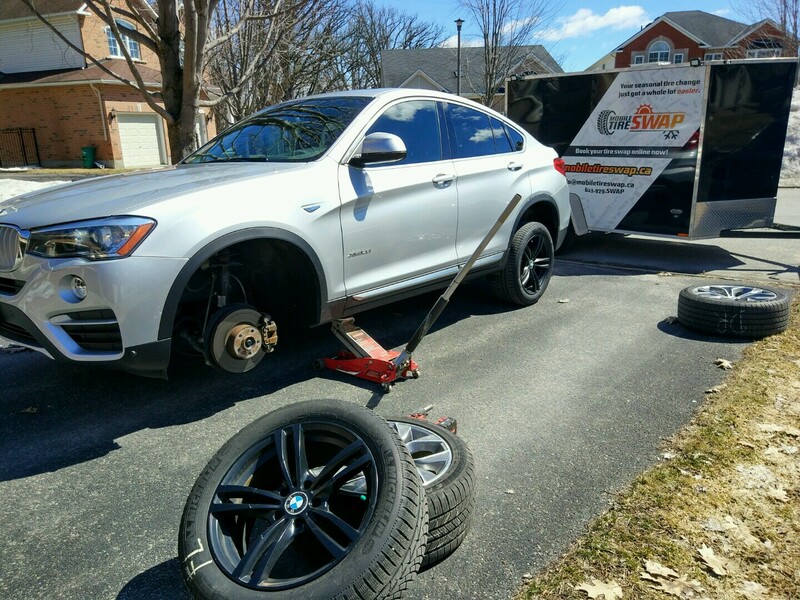 - Mobile Tire Swap will mount tires which you, as the owner, deem to be safe and correct. 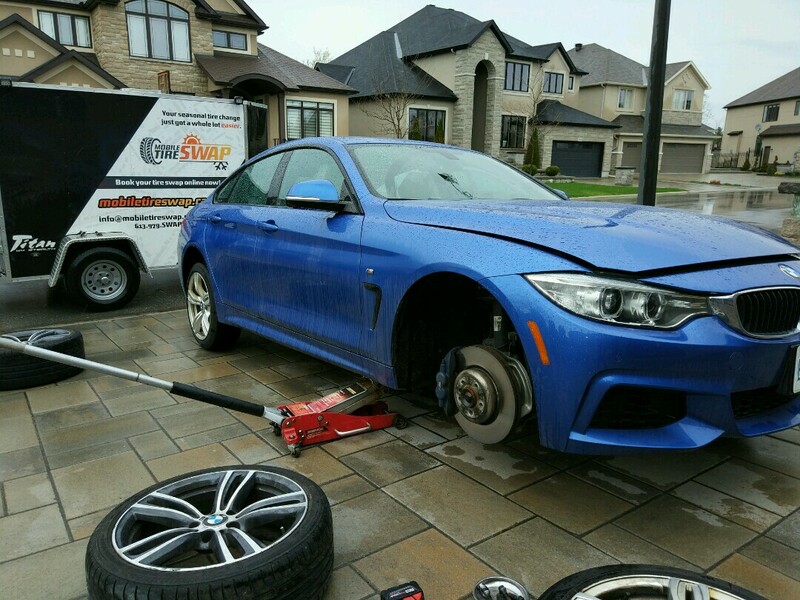 - Customers using Mobile Tire Swap are responsible to note any vehicle problems to their regular service garage, including wheel damage. 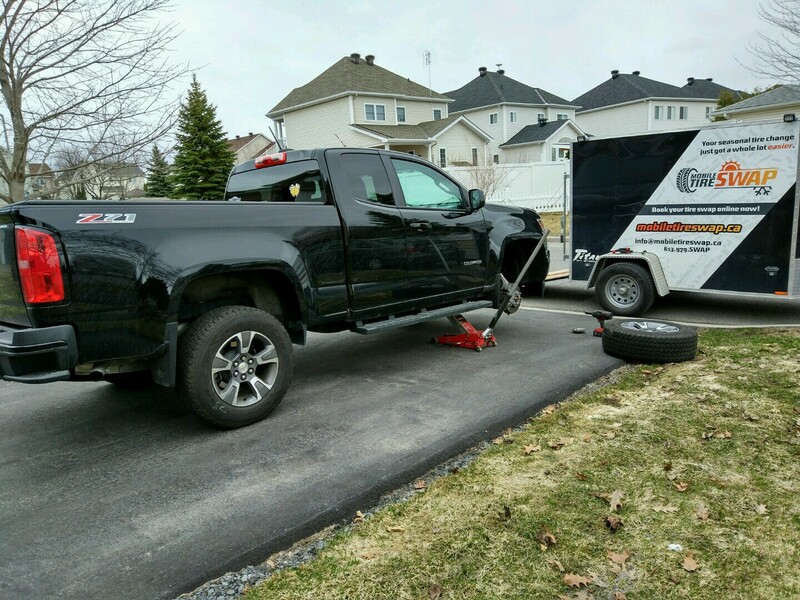 - Mobile Tire Swap and The Ministry of Transportation suggests that you have your wheel fasteners rechecked after 80km to ensure that the seal between the car and wheel are still snug. Protecting your personal privacy and the confidentiality of your information is our primary concern. Mobile Tire Swap will not share or disclose any information collected from customers using our services. Do my tires have to be on rims? Yes, Mobile Tire Swap will only mount tires that are already on their own set of rims. Can you change my tires anywhere? 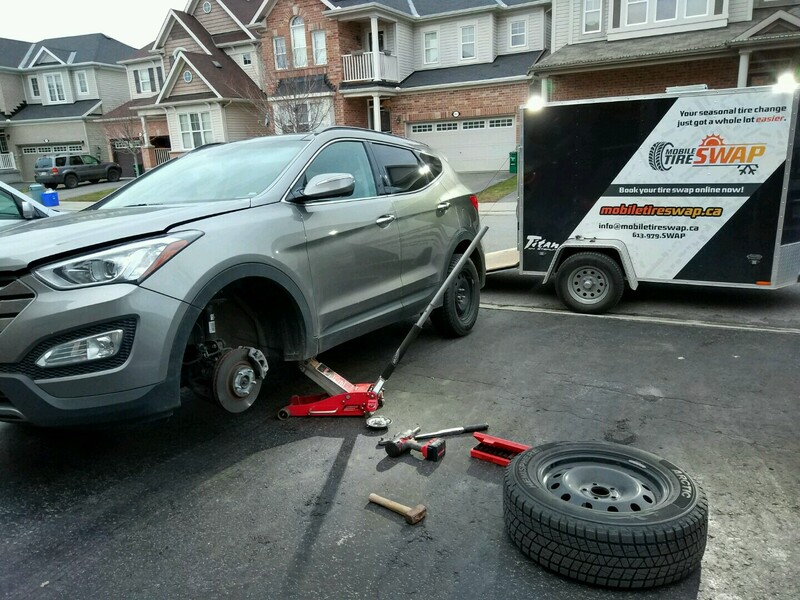 Mobile Tire Swap is fully mobile and is equipped to provide you with its services anywhere that the technician deems safe to work. Do you need the Lug-nut-key for my wheels? Yes. The Lug-nut-key is specific to your vehicle and your technician needs to use it in order to complete your Tire Swap. 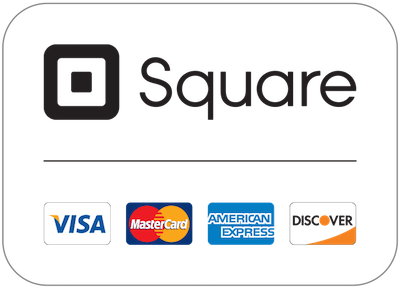 Feel free to email or call us anytime you have a question.